Businesses are increasingly moving away from using pen and paper to sign important documents and shifting to online e-signature software solutions. For this reason, the global e-signature market is predicted to grow at a healthy annual rate of 32%, rising from $663 million in 2016 to $2.66 billion by the year 2021. There are many uses of digital signature systems including the ability to quickly sign and send a mortgage, vendor contract, and other key documents. In fact, even HR management software systems such as SutiHR offer electronic signatures for processes such as onboarding and open enrollment. There are other equally good products in the market, so you can also easily find a viable SutiHR alternative. In this article, we look at the main benefits of e-signature software products as well as a few cons you should be wary about. You can save plenty of money by switching to paperless signing as you can avoid the expenses of ink, paper, printer purchase and maintenance, and hiring a courier service to send the documents. In addition, you can also get indirect savings such as time saved looking for lost contracts and documents, rekeying data, and filing and storing paper documents. An AIIM report shows that 25% of e-signature users received ROI in less than three months, while 81% benefited within a year. Today’s tech-savvy customers are online all the time on mobile devices such as laptops, smartphones, and tablets. To cater to this sophisticated segment, you need to provide a modern method of signature to close deals quickly. By offering the use of e-signature software, you can enable your customers to sign contracts and documents online without needing to download anything. They can sign and send you the all-important contract from anywhere, anytime using an internet-ready device. Your customers are sure to appreciate this easy and fast way to interact with your enterprise. The contract turnaround time improves significantly with digital signatures. Plus, you can save time in executing contracts with multiple signers. The software automatically routes the contract to each signer included in the process workflow. This means you can get the documents signed and sent in minutes, which facilitates faster payments. In fact, many companies in multiple industries have reported that digital signatures help to significantly accelerate the sales cycles. Now, you don’t have to wonder whether your customer has received your fax and when they will sign the contract. E-signature software solutions offer an online dashboard that helps you to easily track the status of your documents. Top platforms even send reminder emails to signers if they do not sign by the specified time. You can avoid instances where the customer has missed signing a page or did not fill out important information. Digital signature software offers mandatory fields in the contracts. This feature ensures your contracts are signed 100% accurately every time. Now, you don’t have to worry about chasing your partners and customers for incorrectly signed documents. If you use paper contracts and documents, you need to store them safely under lock and key. But these are vulnerable to break-ins and somebody could tamper with or steal the files. Thus, it is a big security risk for your enterprise. You can avoid this with advanced e-signature software products as they provide strong document security as well as evidence. They protect each signature with a tamper-detection seal that sends an alert to you if the document or contract is altered after signing. On top of that, the software offers a detailed log of actions performed in the file’s lifecycle. This evidence clearly shows when each recipient signed the file, who downloaded a document copy, and other important information. 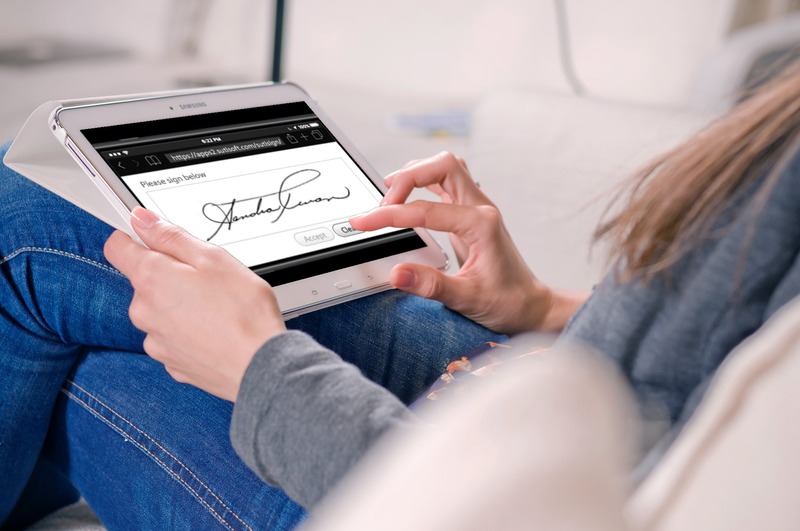 To balances things, you should also look at the few drawbacks of electronic signature software so that you can avoid these issues while selecting and using this type of product. Some vendors offer limited storage features. You may need to store your files in their server databases forever. This means companies would not be able to control the storage of their customers’ confidential information. Do proper research and select a vendor that hands over document control to you and meets Department of Defense regulations by digitally shredding copies from their data center servers. Many electronic signature providers offer proprietary software. This means you could get locked into a single vendor for the duration of a long-term contract. Avoid this issue by picking a provider that adheres to the standards for digital signatures stipulated by the National Institute of Standards and Technology. These vendors enable you to use documents with embedded digital signatures which gives you the liberty to switch providers any time you like. Now that you know the advantages and flipsides of using electronic signature software solutions, pick a suitable app for your business needs. You can do so by reading the detailed reviews of e-signature platforms in a reputable saas directory. Try out the free trials of popular systems to learn about their features and suitability for your company, and select a secure and reliable solution that can benefit your company.